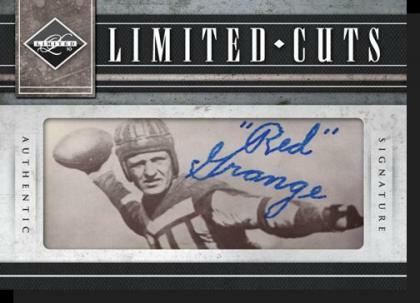 Limited Cuts auto insert featuring legendary names like Bob Waterfield, Bobby Layne, Red Grange, and Walter Payton! 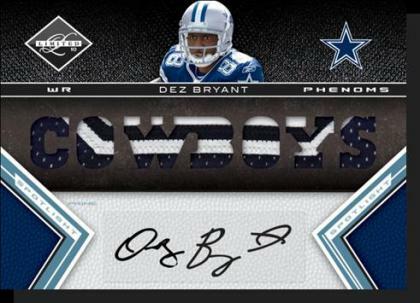 New "America's Team" Signatures and Autographed Memorabilia Cards - a continuation of Panini's season long cross-brand tribute to the Dallas Cowboys 50th Anniversary! Each 15 box case is expected to deliver 7 of the following high-end hits: NFL Shield, NFL Shield Signatures, Rookie Letterman, Limited Cuts, Jumbo Prime Signatures, Material Phenoms. 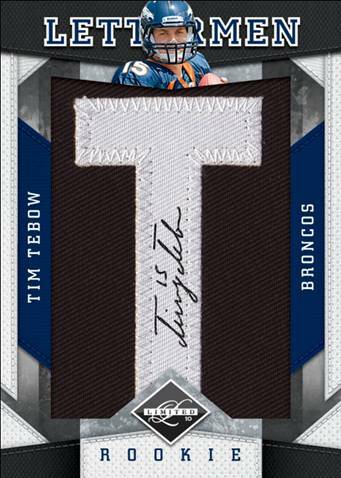 Autograph checklist includes a mix of past, present, and future legends: Dan Marino, Peyton Manning, Brett Favre, Tim Tebow, Sam Bradford, Tony Romo, C.J. 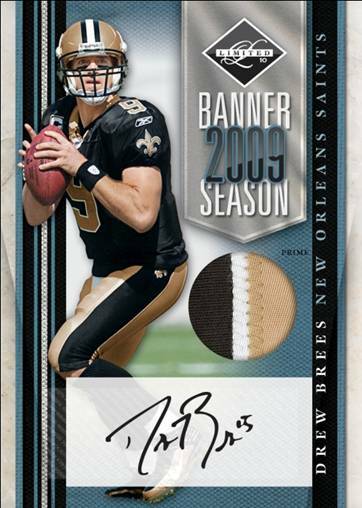 Spiller, Ryan Mathews, Troy Aikeman, Tom Brady, Dez Bryant, Jerry Rice, Joe Montana, Emmitt Smith, Joe Namath, John Elway, Drew Brees, Adrian Peterson, Chris Johnson, and more! 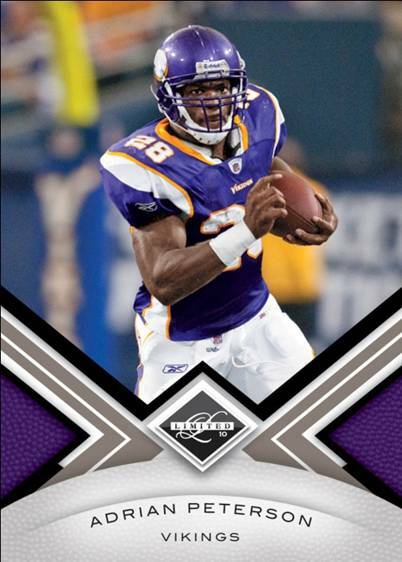 Panini's finite football card investment opportunity known as "Limited" returns for another season of high end, low numbered fun this November. Each 7-card box contains 3 autographs or memorabilia cards and plenty of names past, present, and future. 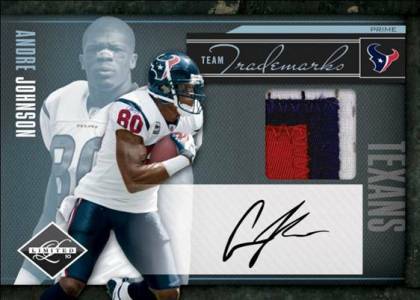 Among the latest additions to the Limited cardboard cornucopia are America's Team signatures and autographed memorabilia cards. 2010-11 Panini Limited Hockey 8 boxed HOBBY Pack (RC Auto Patch 1 1 Cut Sig? PANINI LIMITED 10-11 SEALED HOCKEY HOBBY BOX.